Remarkable as it may seem, not all of Torquay’s residents are honest and upstanding. Indeed, over the years we seem to have produced some quite dishonest individuals, none more so than James Edward Little (1876-1953). James was a Torquay antiques dealer and restorer who also specialised in selling Maori and Polynesian artefacts. As a young man he had become an antiques dealer and an accomplished restorer of old furniture. To help with the bills, his wife let lodgings during the summer months and it was due to a guest in their home that James began his criminal career. In 1900 a London art dealer named JB Russell stayed at the Little’s home. Russell came upon some Pacific and Australasian curios and offered to sell them for James. A profitable little business then followed. This may have given James the idea to embark on a new business venture. James placed advertisements in the Exchange and Mart newspaper and he soon had a string of serious collectors as clients. In fact, James began one of Britain’s first antiques mail order businesses. 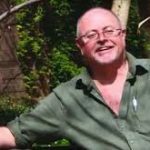 The only problem was that he had never set foot in the South Pacific – he was one of Europe’s most notorious art forgers with a specialism in knocking up and selling Maori artefacts. He went on to fool scholars and museum directors across the world, including the Chicago Field Museum of Natural History. The great Pacific art collectors of the early 20th century WO Oldman, HG Beasley, James Edge-Partin gton and Captain AW Fuller were all taken in by James. He even sold fakes to experts and collectors in New Zealand where the pieces were supposed to have come from in the first place. Some of those fakes are seen in the images here. All believed that his forged or stolen artefacts and their associated documentation were real examples from New Zealand’s indigenous peoples – rather than from the back room of a dodgy Torquay dealer. 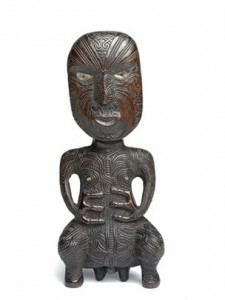 James best forgeries were often copies of authentic Maori artefacts. He would steal these from museums, replace them with fakes, copy the pieces, and sell the originals on. This went on for decades. As he preferred to do all his transactions through the mail, none of his clients ever saw him, even though they may have been dealing with him for over a decade. However, while a quite brilliant forger, James wasn’t a master criminal. 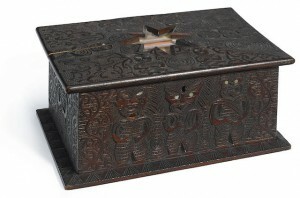 In 1915 he stole a decorated Maori wooden box from a Wiltshire museum, substituting the original for one of his fakes. The swap was noticed and James was tracked down. He had signed the visitors’ book at the museum with a false name, but he was the only visitor the museum had in three days. He was arrested and sent to prison for six months. He went to prison again in the 1930s for attempted theft from museums and auction houses. Yet, ironically, James was never convicted of forgery, the crime for which he became notorious. 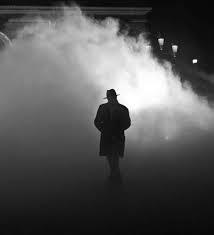 Just as James remained an anonymous and distant figure to all he conned over those many years, so he remains to us. Sadly, there appears to be no photos of James Edward Little, and no description of him exists.